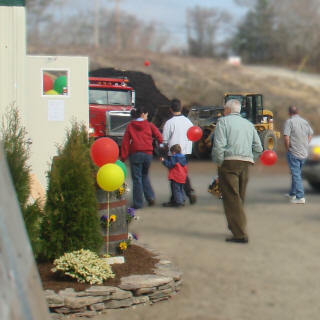 ﻿ Emerald Landscape Supply, proudly providing you with the best value and service and the finest mulches, loam, soils, hardscapes and masonry supplies in Plymouth, MA - About Our Company. We will only carry the finest and best products available. We will provide a level of friendly and helpful service that exceeds our customer's expectations. We will conduct ourselves with integrity, show our customers respect and contribute to our community. At Emerald we believe that success is achieved through quality, consistency, dedication and integrity. It is our mission to set a new standard of excellence in the landscape supply industry. We believe that every customer is a critical part of our success and we will constantly strive to treat every customer accordingly. Whether you are a landscaping professional that is looking for the best products on the market for the best prices available, a yard-work enthusiast looking for a convenient supplier that you can count on, or a homeowner starting a project and looking for guidance or advice; Emerald Landscape Supply is committed to providing you with what you need.